The Alien Quartet has, from the very beginning, contained my unique and personal style. For the first film ALIEN, I was awarded an Oscar for "Best Achievement for Visual Effects". In ALIENS, a film I was not asked to work on, I still received a screen credit for "Original Alien Design". On ALIEN 3, I was cheated out of the Oscar nomination received by that film because 20th Century Fox gave me the credit, "Original Alien Design" again, instead of "Alien 3 Creature Design", as it was my rightful title in accordance to my contract and the work I had performed on the film. In 1976 I had completed two paintings, "Necronom IV" and "Necronom V", in which two long-headed creatures appeared. In 1977 these paintings were published in my book, NECRONOMICON, by Sphinx Verlag, Basel, in German. It was in this version of the book that Ridley Scott, in his search for a credible Alien creature, came across these two paintings and decided on them for the full-grown Alien, using the words "That's it!" The statement has been graciously repeated by Ridley Scott in almost every interview about his work on ALIEN. The creatures in ALIEN: RESURRECTION are even closer to my original Alien designs than the ones which appear in ALIENS and ALIEN 3. The film also resurrects my original designs for the other stages of the creature's life-cycle, the Eggs, the Facehugger and the Chestburster. ALIEN: RESURRECTION is an excellent film. What would it look like without my Alien life-forms? In all likelihood, all the sequels to ALIEN would not even exist! The designs and my credit have been stolen from me, since I alone have designed the Alien. So why does Fox not give me the credit I rightfully earned? 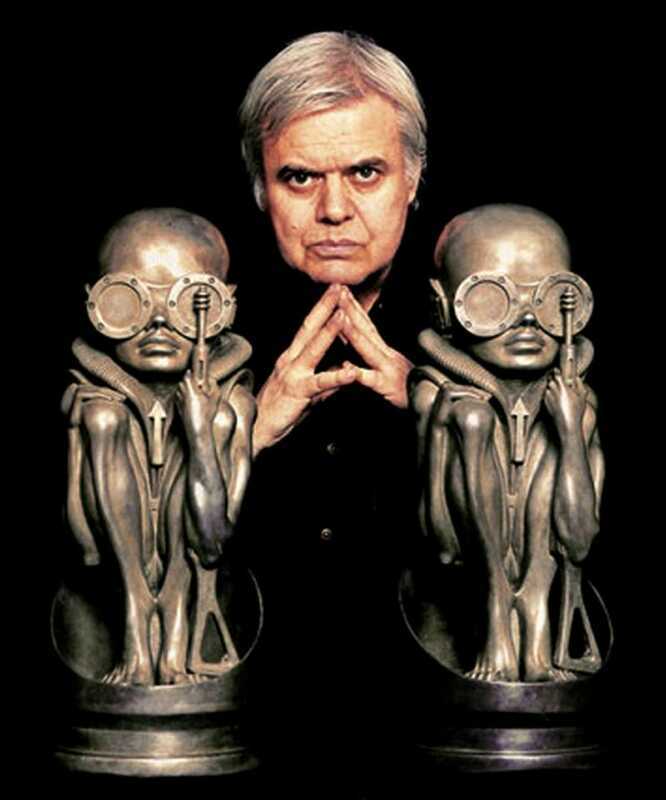 As for those responsible for this conspiracy: All I can wish them is an Alien breeding inside their chests, which might just remind them that the "Alien Father" is H.R.Giger.